I’ve just checked the definition of the word ‘logic’. The New Oxford Dictionary says it is ‘reasoning conducted or assessed according to strict principles of validity’. 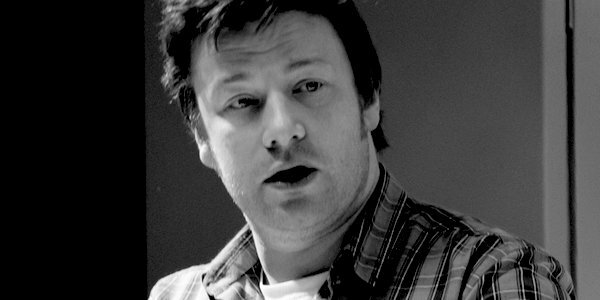 It was a high-profile word last week when celebrity chef and campaigner Jamie Oliver said that the obese poor ‘think in a different gear’ and that ‘the concept of middle-class logic doesn’t work . . . we can’t judge our equivalent of logic on theirs.’ His case was that the poor are so often fat because they simply cannot help what they are putting into their or their children’s mouths. There are certainly grounds for understanding why the poor make the food choices that they do and these must surely be about poverty as well as ignorance. However, this does not justify a re-appraisal of the word ‘logic’. Something is either logical or it is not, there being no connection with socio-economic status. If parents want their child to avoid dental problems and getting fat, it is logical to make sure they are not having a breakfast of cola, crisps and chocolate biscuits. This is irrespective of whether the day is starting in an inner-city tower block or a six-bedroom former vicarage along a gravel drive. ‘Middle-class logic’ is a meaningless phrase. So does it matter if now and again we all slip into the occasional meaningless phrase? It does if you have a voice that makes headlines about eating habits at a time of a national obesity crisis and when it has just been confirmed that millennials are the fattest generation in history. It matters if you start to imply that the poor have so little agency that they may as well give up, that the poor are so sensitive about being told the plain truth about what causes obesity (eating too many calories and moving about too little), and all its consequent health risks, that the main way ahead is government action against cheap food, unhealthy food and a ban on junk food adverts on the Tube. This is not to say this wouldn’t be a start; it’d be a good start. Even conservatives can feel there is sometimes a role for the ‘nanny state’ – nothing wrong with curbs on promotion of certain products in certain places and I’d be quite happy to see sugar in soft drinks outlawed (or emergency legislation to cut it by 80 per cent). Painful, yes, for the food and drinks industry, which would have to re-think its business, and painful for all those who would have to adapt their and their children’s palates craving the white poison that refined sugar is. Not as painful, though, as the slew of wasted lives and early deaths that are on the horizon in the next couple of decades if we refuse to acknowledge what is going on. The fact is that blaming somebody or something else, whether it’s manipulative marketing in the shape of Buy One Get One Free, which Oliver rightly slams, or government that allows big business to push its junk as and when, will get us only so far. We can’t get away from the question of willpower. We can’t get away from the inconvenient matter of having to take personal responsibility at some point. A number of health professionals were signatories in a letter to the Times this week which stated: ‘Obesity is a problem of our environment more than individual willpower’. While that may be true, there is still going to need to be some effort, yes, some willpower, on the part of individuals. Oliver made heroic efforts with his school meals campaign some years ago to do something critical about the environment around children. But what’s to be done about parents who were so indignant about healthy, Jamie Oliver-inspired food being foisted upon their offspring by dinner ladies (who were well on board with the anti-junk food cause) that they were poking chips through the playground railings into their children’s mouths? Hearts and minds of the people about to open their mouths have to be won. We can’t get away from that, however much we’d like to as we comfort ourselves that at least we haven’t apportioned blame to anyone, hurt their feelings, said they lack willpower for indulging in that second or third cake. Or just having to walk down the high street with a big bucket of frothy, creamy coffee. So what’s to be done apart from a radical approach on the sugar, salt and fat levels permitted in food (and let’s face it, this is not going to be any more popular with ready meal-inclined consumers than with the manufacturers) and severe restrictions on advertising? Well, what about bringing back something that used to be taught at the start of secondary school a few decades ago, an era when there were only a couple of fat children in each year group? It was called cookery. Not Nutrition, not Food Technology, but plain old cookery. It acquired the grander name of Home Economics only if it was continued for O-level. Of course, we don’t have to go back to the days when it was only the girls doing this for a whole afternoon once a week (the boys were doing woodwork or metalwork, natch). There’s a lot to be said, however, for knowing how easily and cheaply a shepherd’s pie can be knocked out. I’m loath to use a seven-syllable word, but perhaps we could think of de-academicising the subject (which has often had youngsters more bound up with designing pizza packaging than thinking about real food and the point of it). What about having both boys and girls in school kitchens from age 11 doing good old cookery? There wouldn’t be the reward of a GCSE at the end of it, but there would be a new generation that knows how to cook quickly, healthily and on a tight budget. That’s got to be better than eating something out of a colourful packet that started out as a load of swill in a factory near Rotterdam.